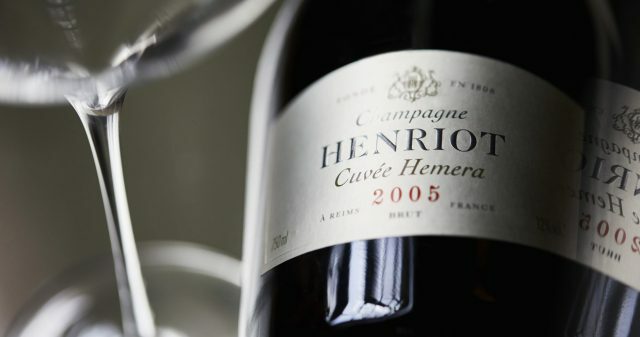 This recently-launched prestige cuvée, named after the Greek goddess of daytime, Hemera, comes from the little-known house of Henriot – a maison that’s much-loved by Champagne experts for its typically smoky, toasty, tight style of fizz. And Hemera follows in this stylistic line, despite hailing from the ripe 2005 harvest. Indeed, the Champagne, which delivers a delicious combination of slightly honeyed flavours with a bright lemon finish, replaces Henriot’s Cuvée des Enchanteleurs, which was a touch more opulent in character. Hemera, on the other hand, was conceived to represent the pinnacle of the house, but remain more in keeping with the Henriot style. Whatever the thinking behind its launch, it is a delicious alternative to the better-known brands of prestige cuvée Champagne.